I had La Yogurt Light Probiotic Banana Cream Blended, which is nonfat. When I saw "Banana Cream," I had no idea what the cream part would be. 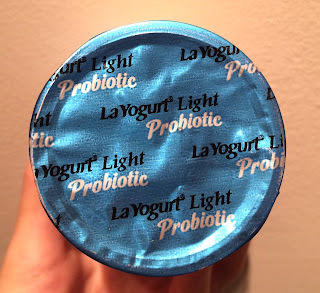 The shiny lid was right blue like the cup. 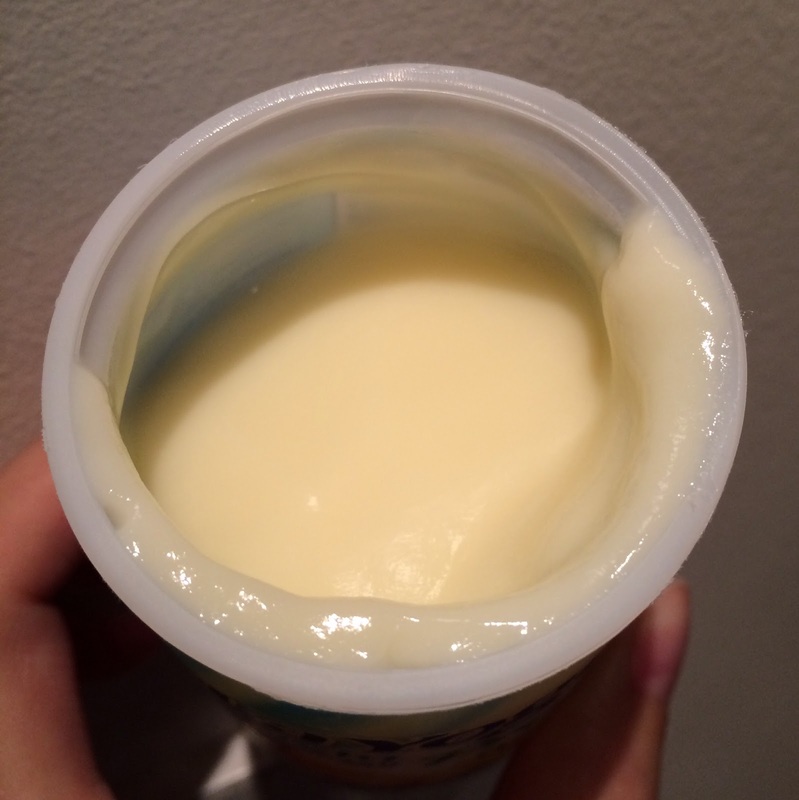 The content was pale yellow and looked like Swiss Miss Vanilla Pudding. 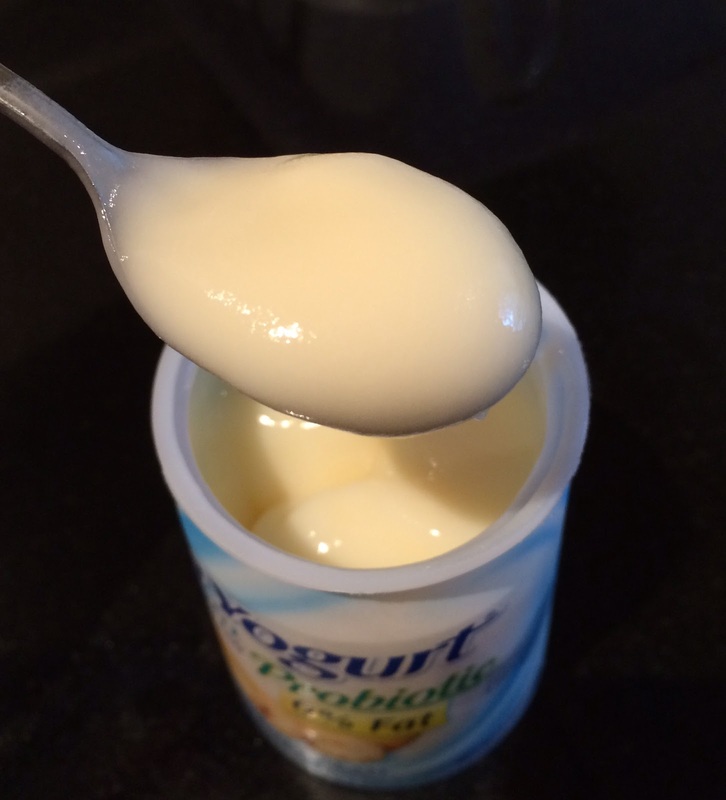 It's light but starchy like La Yogurt Probiotic Sabor Latino Mango and this flavor also contained Kosher gelatin. 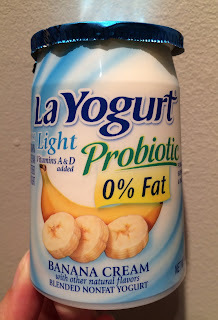 It had very strong banana flavor but I didn't see any flesh in the yogurt, and the aftertaste had some sort of citric acid which made this sweet scented yogurt taste more refreshing.